Welcome to Plumber Rathmines. Do you have a plumbing emergency, if so our team is always ready to help. We are available 24/7-365 days a year for all your emergencies and general plumbing services. One of our team can be at your door in under 60 minutes for all of your unforeseen plumbing issues. We won’t let you down. 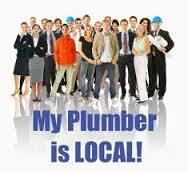 We know that is can be hard to find a good reliable plumber but you need look no further. Our regular customers can know that our Rathmines plumbers offer the highest quality plumbing service. We guarantee all the work that is carried out by our team and they all have full indemnity insurance. This provides our clients totally at ease and at a fraction of the cost of some of our competitors. We have built a reputation for customer satisfaction. Our extensive domestic and commercial plumbing knowledge is second to none. All of our team at plumber Rathmines are all fully qualified and R.G.I. registered, this means we can complete any work involving natural gas. We ensure that when our team start a plumbing job, it is completed to the highest standards. We don’t leave our customers disappointed, we make sure they are completely satisfied with our work. Your local team at Plumber Rathmines provide the following services. · We service oil boilers and gas boilers. · Full bathroom renovation projects. · 24 hour emergency Rathmines plumber call out service. · Repair and replacing of drain pipes and burst pipes. · All types of oil and gas boilers repaired or replaced..
· Full drain unblocking service including unblocking sinks and toilets. · Installing new sinks, baths, bidets, wet rooms, taps, showers and toilets. · Central heating repair and replacement of tanks, thermostats, radiators and pumps. We do not charge for call outs, we are happy to offer free advice and give a free no obligation quote.Call 01-2844921 today to speak to one of our master plumbers. When you need a urgent help remember to call Rathmines plumbers, your one stop shop for all your plumbing services.